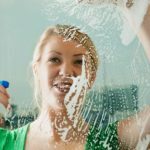 Whether you love it or dread it all year, there’s no denying that spring cleaning is a worthwhile task. Studies show that decluttering, cleaning and organizing your living space helps reduce stress and increase a sense of happiness. Here are a few ways to make your spring cleaning season easier. Google Keep is the perfect way to stay organized while you’re organizing. Keep saves notes, lists and photos all in the same place so you can quickly and easily access them. The option to color code and add labels allows for additional organization. You can even instantly document what’s on your mind by recording a voice memo that Keep will transcribe and save for later. Plus, you’re able to share and collaborate with others on Keep so groups can always be on the same page. If you’re looking for an affordable dishwasher that doesn’t sacrifice cleaning power, the Kenmore 13479 may be a perfect pick. The 24-inch built-in appliance highlights simple, no frills design on the interior and exterior. Its main feature is the PowerWave™ Spray Arm, which cleans dishes from every direction, with jets spraying from two sides. It also includes a Time Remaining Display that shows you the cycle status. It’s a basic setup, but a great bargain for the price. Cleaning out your closet just got a whole lot easier with thredUp, the world’s largest online thrift store. Simply send unused clothing and accessories to thredUp with its Clean Out Kit. After being evaluated, items that are on-trend and in great condition are placed for sale. Items that aren’t accepted for sale can be returned to you or passed on to third-party sellers. The profits from any of your items that sell may be used as store credit, donated to a cause of your choice or transferred to you through PayPal. Outdoor Living Trends: Owners and buyers look to increase value, livability with improved outdoor spaces. When spotlighting trends in home projects for the coming year, the National Association of Home Builders’ Best of American Living awards pointed to intimate outdoor gathering spaces as one of the Outdoor living trends. But the best way to incorporate outdoor living into everyday life depends on the homeowner, says Brad Allen, CRS, ABR, a managing partner with The Art of Real Estate in South Carolina. 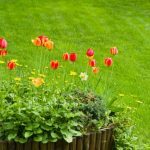 The biggest returns on cost for outdoor upgrades all revolve around improving lawns, with upgrading to seed lawn bringing the highest return at 417%. Young families, for example, might still want those wide-open spaces for running and other activities, whereas millennials lean toward outdoor fireplaces with sitting areas for lounging. Because outdoor spaces have to be tailored to the needs of the buyer, it’s important to find out what your client wants before showing the client something that’s trendy, rather than useful, says Sharon Breslau, CRS, an associate broker with Westwood Metes & Bounds Realty, Ltd. in upstate New York. In her area, situated snugly in the Catskill Mountains two hours north of New York City, outdoor areas tend to focus on the view and streams for second-home buyers. But that doesn’t mean every buyer wants the same view. “It’s a series of questions I ask up front when I have a buyer,” Breslau says. Many buyers are going for the trendy intimate spaces, Allen says, particularly if they come with any kind of added entertainment area. That can mean a deck with a great dining setup, or it could mean a pool, depending on the buyer, says Mary Lane Sloan, CRS, a partner/broker who works with Allen. In general, outdoor spaces have to go way beyond curb appeal, allowing multiple spaces around the outside that interact with the inside. Breslau encourages buyers to look for open space directly around the house—being able to walk all the way around a house without running into an obstacle is ideal—because this allows more light inside. A 2016 National Association of REALTORS® report on the impact of remodeling outdoors showed the importance the outdoors is playing in the way buyers see the indoors. 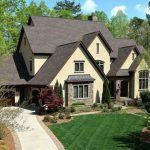 According to the report, outdoor remodeling projects add value to a home on resale, while also making homeowners who plan to stay in their homes happier. 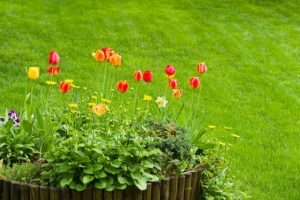 Allen tells homeowners to make major changes outdoors only if they’re going to love those changes and find the revamped outdoor space useful, since a dollar-for-dollar recovery upon selling isn’t likely. “However, a nice outdoor living space will most likely make the home more appealing to buyers, which could cause a buyer to purchase the home when compared to a house without an outdoor living space,” Sloan adds. And outdoor kitchens or fireplaces on porches are useful in all warmer-weather climates as long as they’re covered to protect from rain, Sloan says. In places like New York, though, warmth isn’t a guarantee for most of the year, so homeowners have to think outside the box to get more use out of their outdoor spaces, Breslau says. Three-season screened-in porches allow people in colder-weather areas to enjoy the outdoors for at least a little longer in the spring and fall, but to make those spaces year-round, all they need is some insulation and a gas heater to bump up usage in the winter season. Sharon Breslau, CRS, an associate broker with Westwood Metes & Bounds Realty, Ltd. in upstate New York, also suggests having landscapers plant anything that grows big, “things that are hedgy and easy to pop in that add a little more privacy,” including rose of Sharon or jasmine, or anything viney on a trellis that can shield the sight of any neighbors. Breslau also suggests using fountains to mute noises, especially a busy road in the distance. That adds another level of privacy and is helpful for Outdoor Living Trends that buyers love. When you are ready to buy or sell a house, contact us, here at Dupont Real Estate. We are here for you. Economists and real estate professionals ruminate on whether to invoke the dreaded B-word and how to react as a hot market continues. Home prices are accelerating, and some markets are now considered overvalued. 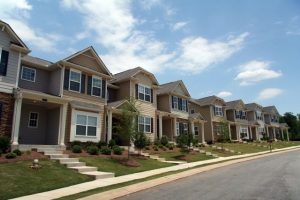 As home values surge, affordability is rapidly eroding. Are market bubbles starting to percolate in some regions? Many housing markets are entering a fifth or sixth year of strong sales conditions, with low inventory and continuing high annual price escalations. Add to the mix an extraordinarily long bull market in stocks, and some buyers, agents and brokers are starting to ask whether the residential real estate business is too good. Is a housing bubble in the making? And if so, what can brokers and agents do to mitigate the risk to their clients and to their own real estate businesses? But Ratiu and other economists and real estate analysts are quick to add that the housing market decline that occurred in much of the country between roughly 2005 and 2012, depending on the particular market, was among the severest on record. They view the likelihood of the reoccurrence of an event of similar breadth and magnitude as very small in the foreseeable future. Still, while another pervasive Great Recession-like bubble event is viewed as unlikely by many, all real estate is local and that generally applies to bubbles, too. Allan Weiss, founder and CEO of Weiss Analytics LLC, a Natick, Massachusetts-based real estate information and analysis firm, and some other real estate market analysts say that while a major national bubble is unlikely, they do have concerns that bubble-like conditions may be emerging in some markets or property types or price range subsets within those markets. • Extensive market participation of investors, rather than owner-occupants, as buyers. Communicating with clients about the risk of a bubble is a sensitive issue. Rather than invoke the word “bubble,” a highly charged word likely to frighten buyers, a better approach may be conducting a more nuanced discussion of price risk and sales conditions, says Michelle Gordon, CRS, a Grand Rapids, Michigan-based agent at Distinctive Homes. With respect to sellers, it may mean advising clients of the possibility of a bubble and advising them to sell at a good price before a possible bubble pops, rather than holding out too long for a “best” price that significantly delays a sale and risks bubble exposure, says Judie Seitz, CRS, a Cincinnati, Ohio-based agent at Comey & Shepherd REALTORS®. There are also steps that real estate professionals can take to protect their practices. Taking steps to diversify a practice by selling in a wide range of property types and price ranges can reduce the danger of exposure to a downturn in a submarket, says Jeff Dowler, CRS, an agent at Carlsbad, California-based Solutions Real Estate. Real estate analysts vary in their estimation of which markets might have the greatest risk for bubbles or price corrections. During the first half of 2017, many of the metro areas that bear closest scrutiny tended to be in Florida, especially because of the relatively large price appreciation and elevated levels of investor activity, according to a CoreLogic study, the CoreLogic Market Conditions Indicator. An ATTOM Data Solutions list of the 20 markets with the lowest affordability indexes in the second quarter of 2017, equating to markets where prices may be overinflated and affordability is out of line with historic norms, has the top spots dominated by Colorado markets, but it also includes Flint, Michigan; Knoxville, Tennessee; and Tarrant County, Texas—which are all among the top 10, says Daren Blomquist, senior vice president of ATTOM Data Solutions (formerly RealtyTrac). Blomquist notes that markets low on ATTOM Data Solutions’ affordability index list suggest that traditional overvaluation suspects such as New York City and San Francisco are possibly being overtaken by previously more conservative middle-America markets. By David Tobenkin: a freelance writer in the greater Washington, D.C., area. When you are ready to buy or sell your home, contact us, here at Dupont Real Estate. Blockchain technology could revolutionize the real estate business model. Much like the internet two decades ago, blockchain is a relatively new technology with seemingly endless possible applications. But outside the techie world, people have a limited understanding of how it actually works and whether it should be trusted. Still, some experts see blockchain’s potential to completely change how real estate transactions are handled. A blockchain is essentially a decentralized database with continuously updating digital records. Instead of using a central depository of information, blockchains use a network of databases that are constantly synchronized and available to those on the network (all via the internet). Much like the internet itself, blockchain networks can be either private or public, says David Conroy, R&D lab engineer with the National Association of REALTORS®’ Center for REALTOR® Technology. The private version works like a private business’s intranet system, with information available only to those with a login to that specific network. Public blockchains are accessible by anyone, without a login needed. In at least a couple of instances, agents have made and closed deals from start to finish exclusively using blockchain technology. In September 2017, Sheryl Lowe of Kuper Sotheby’s International Realty in Austin, Texas, became the first broker to close on a home purchased entirely with cryptocurrency (Bitcoin) when it represented the buyer of a custom home. Blockchain gets its name from the way the digital transactions are completed, by being added to blocks with other transactions being carried out at the same time, then cryptographically protected. The blocks are “validated” using complex coded problems, and once the coding is finished, the new block is linked to older blocks, creating a chain that shows all the transactions made since the start of that blockchain. Because the chain is constantly checked and updated across the entire network, everyone sees the same information at the same time, and everyone can follow each piece of the transaction as it occurs. Blockchain sounds failsafe, right? It is, except for one sticky problem: People still largely control it. That means individuals’ blockchain access codes are only as safe as they’re kept, says Ridaa Murad, founder of Breakform|RE in El Segundo, California—a common problem with current passcoding systems. Of course, another huge issue facing blockchain technology is similar to that faced by the internet in 1994: People don’t really understand how it works, and therefore don’t trust their transactions to be handled correctly through this new and seemingly complex technology. “Companies are seeing the potential, but people aren’t really secure about putting all that information out there in this way yet,” Conroy says. We’re still far from having all transactions done on the blockchain, Murad says, mostly because so few people understand how the technology works. Also, he says, despite the fact that it’s superior in many regards compared to other similar technologies currently in existence, that doesn’t guarantee that it will become commonly used in businesses. People will need to adapt. But Conroy sees it as the obvious evolution of the real estate business model. A little farther from home, in Ukraine, an entire transaction was completed using smart contracts on the Ethereum blockchain, showing how quickly and securely the technology works for this purpose. That home was sold, perhaps unsurprisingly, to Michael Arrington, co-founder of the tech news site Tech Crunch. 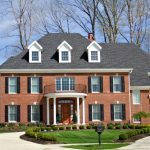 When you are ready to buy or sell your home, contact us here at Dupont Real Estate- one of the most experienced realtors in the Charlotte area. We are here for you. Downsizing is becoming more popular. Downsizing is a common discussion among couples. I often find working with couples that one wants to downsize but has agreed to purchase a large property with their spouse. feet or higher. Likewise, they should avoid a home with an oversized formal living room they’re unlikely to use often. The coziest arrangement is to have a big family room right off the kitchen, because people spend most of their time in the kitchen area. Finally, I tell them not to assume that a place they buy upon retirement will be their last home. Tips are from your local Charlotte realtor, Dupont Real Estate. Call us when you are ready to buy or sell a home. Teenagers and snooping- To Snoop or Not to Snoop? Granted, the teen years are harrowing times and worrisome for every parent on the face of the planet. But is snooping on your teen really the best solution? Guess what – there’s a better way to find out what’s going on with your young adult … and you might just accomplish some relationship-building in the process. Before you snoop, make sure to ask yourself these questions. Is there really something you should be afraid of or are you just curious? If you don’t have evidence that your child could be in danger then simply ask them what’s going on before choosing to snoop. Asking before snooping will cause your child to respect you more as a parent, as opposed to hating you for rifling through his or her top drawer. If you are still uncertain whether or not your child is telling you the truth, lay some ground rules and explain your position. Explain your position on matters like drugs, alcohol, Facebook, etc. so that your child knows where you’re coming from and how you feel. This conversation can assert your authority for the future. and snooping- You should also model what you want your child to be like. You wouldn’t want your child snooping through your things, so you should trust your child enough not to snoop through theirs. This will increase the respect between you and your child. Lastly, before you snoop, think back to your teen years. I’m sure there were some things you hid from your parents…and you managed to turn out just fine. Take a step back and trust that you are raising your children right and that they are making good decisions. 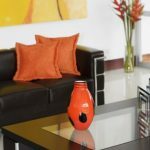 Home staging will help you sell your house faster. When you show your home’s best features by staging it effectively, you help increase your final selling price without breaking the bank. In fact, on average, sellers receive $2 in increased sale price for every $1 they put into staging a home. As the infographic below shows, the following five golden rules of home staging will help you show off its best assets. Buyers need to picture themselves in your home, not you. Remove photos, trophies, personal items from your home. They are a distraction to a buyer. Clear closets of unnecessary clutter- it makes your closets look larger. Use boxes stacked together to hide your clutter. Use matching hangers for a modern and clean look. Use gender neutral colors, and try to create a focal point for each room. Remove anything not related to sleep from the bedrooms, such as televisions or office furniture. The easiest and cheapest way to stage your home is to clean it. 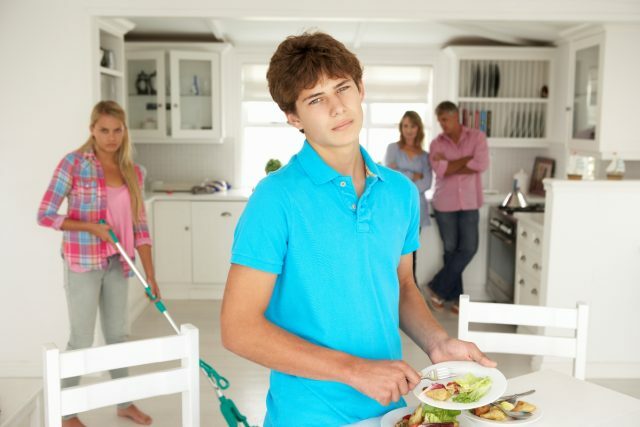 Wash dirty dishes; clean floors, walls, baseboards, ceiling fans and windows. Clear off countertops. Put white bath and hand towels in the bathroom. Clean shower doors. Modernize your cabinets with a coat of stain or paint. Replace brass or wooden cabinet hardware with brushed silver or stainless steel. Clean your refrigerator, sink, inside of oven and declutter kitchen cabinets and drawers. Remove rugs. Flat appliances such as dishwashers and refrigerators can be updated quickly, using stainless steel stick-on coverings or specialty appliance paints. Paint your home neutral colors. Depersonalize each room. Maximize all available space. 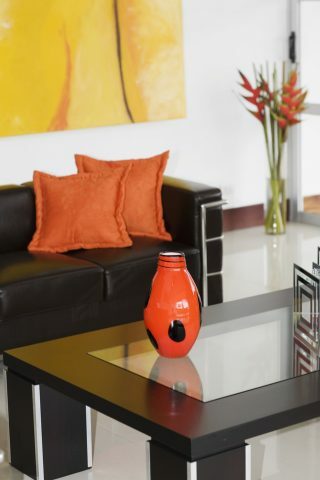 Painting is one of the most inexpensive ways to update your home. Window treatments can also help to make a room feel larger. Use neutral color curtains and thin rods to hold them. Tips taken from blog.rismedia.com. 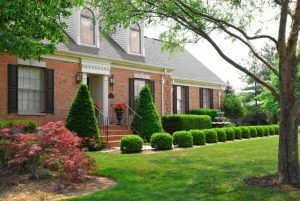 When you are ready to sell your home, contact Dupont Real Estate. We are here for you.